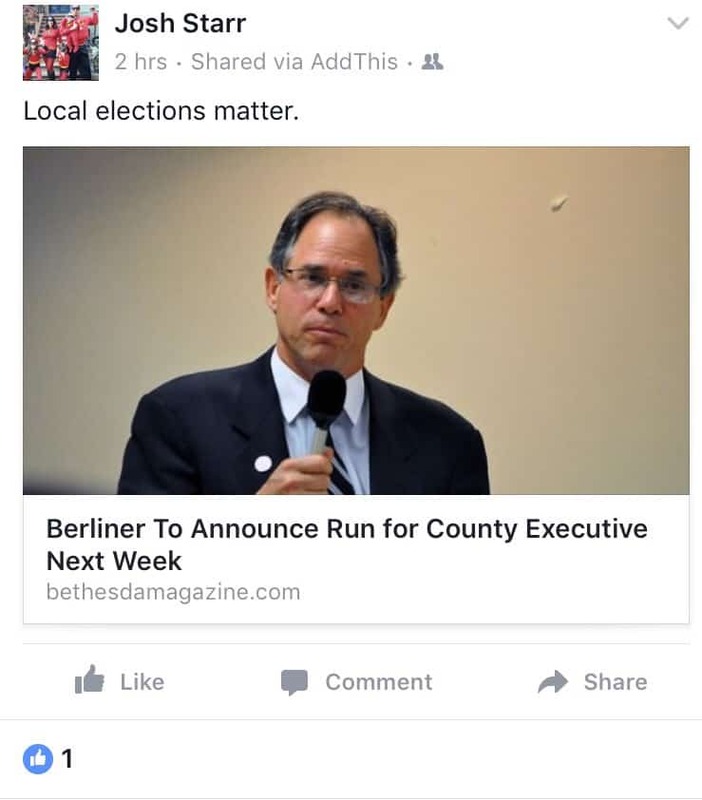 The former Montgomery County superintendent of schools isn’t shying away from commenting on local Montgomery County politics and elections. 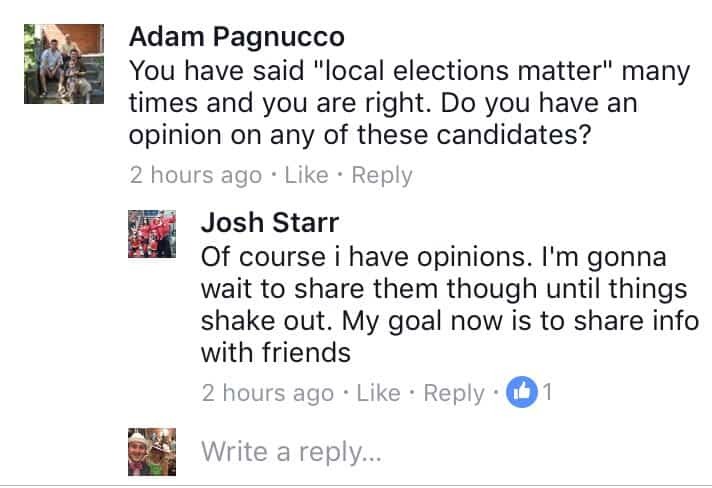 Joshua Star – who resigned his post in February 2015 after realizing that he did not have a majority support for a contract extension among the members of the Montgomery County Board of Education – is weighing in on local Montgomery County politics, posting a Bethesda Magazine article that reported on two current school board members – Rebecca Smondrowski and Jill Ortman-Fouse – who say that might be interested in running for an at-large seat on the Montgomery County Council in 2018. Maryland blogger Adam Pagnucco of Seventh State Blog commented on Starr’s Berliner post. Bethesda Beat reported in February 2015 that Smondrowski, Ortman-Fouse, Judith Docca and Michael Durso were prepared to vote against giving Starr a second four-year contract. While several Montgomery County school board members refused then (and now) to say publicly why they were ready to oust Starr as Maryland’s largest county schools chief, privately, however, I’ve been told that certain board members were interested in a leadership change and that Starr’s management style didn’t bode well among some board members and senior administration officials. 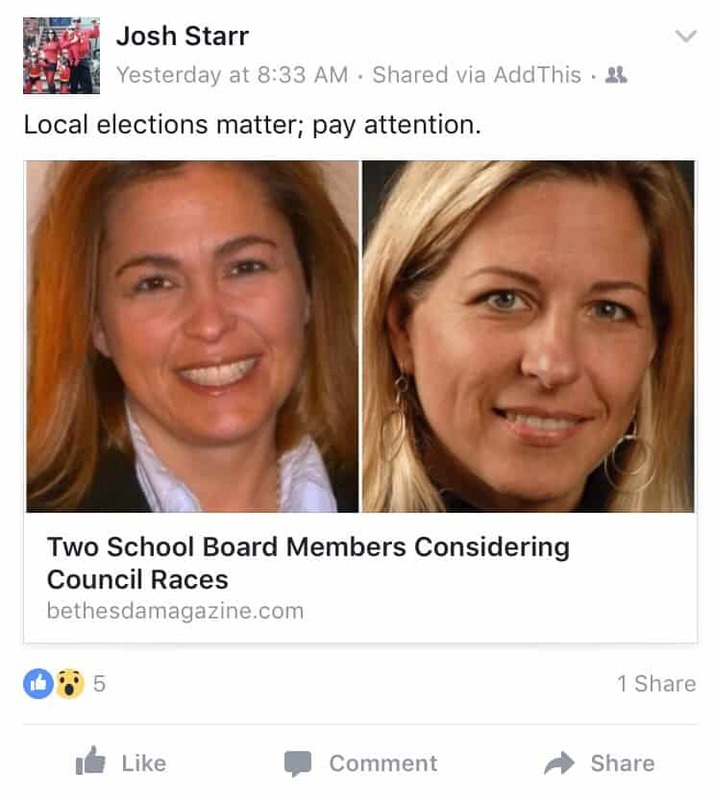 Smondrowski, who has served on the Board of Education since 2012, is soon expected to launch a bid for the at-large Montgomery County Council seat, but she still has not fully committed to a campaign. Ortman-Fouse, however, while considering a bid, is less committal, telling Bethesda Beat that’s she’s weighing her options but is committed to her current position as a school board member. Starr is now the Chief Executive Office of PDK (Phi Delta Kappa) International, an international association of educators based in Arlington, Virginia.